This article is the second in a two-part series discussing a gradual decline in standards of care, termed ‘care erosion’. The first part of this article used cognitive dissonance theory to discuss the psychosocial mechanisms involved in care erosion and focused on the nurse's role in identifying and preventing declining standards in care. 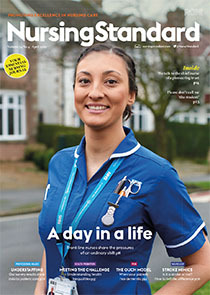 This article, part two, explores the wider involvement of individuals, organisations and nurse education in preventing care erosion, with a particular focus on reflection; mastery of nursing skills and care; supporting nursing values; and addressing denial and trivialisation of, and justifications for, substandard care.